As the longest-serving news man on Australian television Mal Walden has met some incredible women including Princess Diana. Lucky for us, he kept a diary. 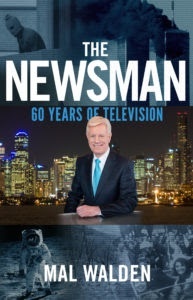 Mal’s 53 diaries have now been shaped into a fascinating memoir, The News Man. 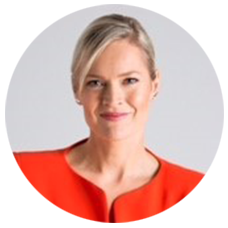 Martine Harte: Mal thanks for being here, if we can start with women who made a big impact on you during your career, who springs to mind? A 108-year-old woman by the name of Monte Puncheon. She was the oldest living woman in the world and she was sprightly, eloquent and fantastic. To be able to come home and switch a switch without the smell of paraffin oil was revolutionary to Monte. She was one of the most impressionable people I have met. 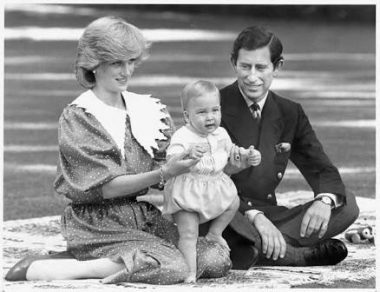 We all gathered at Government House to meet Prince Charles and Princess Di in the 1980s as part of a media day. Princess Di walked in and all of a sudden there was a hush (Prince Charles had been in there for twenty minutes and no-one had seen him arrive) such was this impression that Princess Di carried with her wherever she went. She wandered around the various groups of people and came up to our group, someone introduced her to me and mentioned that we’d just had our twins. 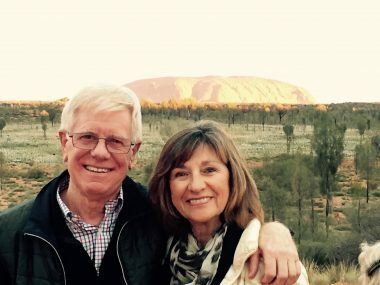 Pauline (Mal’s wife) and I had just returned from a Queensland holiday with our twins and they had caused absolute havoc on the aircraft and in the end we gave them some Phenergan to calm them down and felt very guilty about drugging them (laughs). So Princess Di was very impressive in more ways than one. Mal Walden: Well hang on, can I qualify that? She’s the head of the team without any question. I’m sure, so how did you meet? Mal Walden: Ok, this is quite an interesting story because in 1976 an eight-year-old girl Eloise Worledge was abducted from her home and never found again. My boss sent me to interview her mother Patsy, I knocked on the door and felt that moment of intrusion which most journalists dread. The door opened and I said, “I’m terribly sorry, my name is … ” And she responded that she knew who I was and invited me in. She agreed to an interview and I thought of this interview as being the beginning of a series because the disappearance was the equivalent of the disappearance of the Beaumont children in Adelaide, that’s the sort of interest it generated. I had this remarkable interview with this strong woman who was going through the worst possible grief you could imagine and she kept on mentioning a girlfriend she had confided in. I remember thinking this girlfriend is someone I was going to have to contact in order to do the special. In six months her girlfriend Pauline became my bosses secretary, three years later she became my wife, today Patsy Worledge is godmother to my daughter Sarah. So you had this incredible synchronicity of how lives intertwine and become so incredibly close and you wonder how that happens. It’s like little patterns that are planned for you. It all comes together; I get emotional talking about this. And I understand why, that is amazing. I came to this interview thinking I would ask you about famous or feminist icons but it is meeting women such as Patsy Worledge who have made the greatest impression? Mal Walden: Yes, she is so strong, that strength resonated through all of us. Having worked with so many women who have found a platform, did you see any themes which enabled them to find their voice in society? No, they were all so vastly different. I’ve read with the best of them: Jo Pearson, Marie Louise Theile, Jennifer Hansen, Helen Kapalos. It is very hard for women in television and they are often criticised by women viewers. We could never understand that, they are all ready to scrutinise a female rather than a man and it’s not fair. You are happy to call yourself a feminist? Because of my wife (laughs) I would be nothing without female companionship, I would curl up in front of the television each night. I’ve always been influenced by strong females at home and at work and I can’t imagine not having that female influence. I respect them. Mal Walden: Guys of our vintage have probably seen more change than any of our predecessors because everything has changed. We have to be more acceptable and less judgemental than any of our predecessors. What we’re seeing in the case of Donald Trump is absolutely horrifying! Some will say, it’s just locker room talk but it’s deeper than that. There is that old-fashioned generalisation of women which still simmers, particularly within many men of my age who haven’t changed. I’ve been obsessed by this Trump thing, I just can’t believe anyone can be such a baboon and ignorant and set in his own ways and then to command such an important role. You once described a story about a disgraced airline hostess modelling lingerie as a waste of time during a bulletin in 2007, why did you do that? Mal Walden: I found it offensive, I didn’t find it newsworthy from a professional point of view. I shouldn’t have disrespected my colleagues in their decision to run with it, however it wasn’t newsworthy. Want to hear more like this from Mal Walden? You are just going to have to buy this amazing book. Find it at Readings book store here. Hear from another engaging man, World Vision CEO Tim Costello here. Read our exclusive chat with Australia’s Ambassador for Women and Girls Natasha Stott Despoja AM here. Discover how another TV icon survived years of newsroom bullying, Sandra Sully here. Or find out how you can help women and children in crisis, or those living with domestic violence here. Tagged in Australian tv icons, Eloise Worledge, engaging guys, Melbourne newsreaders, Patsy Worledge, Princess Diana Melbourne visit.